Arleyn Simon has interests in the study of prehistoric social organization and craft production through technological and compositional analysis of ceramics and other artifacts; materials science; and quantitative methods. She currently directs the activities of the Center for Archaeology & Society Repository (formerly the Archaeological Research Institute), including collection management and research projects. Previously, she was the laboratory director for the Roosevelt Platform Mound Study (1989-1998). She has directed field projects in the U.S. Southwest (Arizona) and Northern Plains (North Dakota, Montana, South Dakota and Wyoming). Simon is a faculty associate of the ASU Center for Solid State Science (CSSS) and the Partnership for Research in Spatial Modeling (PRISM). 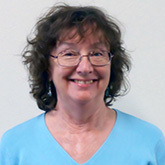 She is past president of the Society for Archaeological Sciences and the ASU Chapter of Sigma Xi. Simon's research actively uses compositional and physical analysis of material artifacts, such as ceramics, stone tools and fine goods (turquoise and obsidian) for the purpose of identifying prehistoric exchange networks and production loci on both inter-regional and intra-regional scales using quantitative analysis. She is involved in interdisciplinary research using geology, chemistry and materials science. Simon, A. W., J. K. Huang, T. Carpenter and W. Russell. 2014. Demarcation of the landscape: Rock art evidence for alliance, conflict, and subsistence at Perry Mesa. Pp. 104-130 In: Abbott, D. R. and K. A. Spielmann eds., Alliance and Landcape on Perry Mesa in the Fourteenth Century. University of Utah Press. ISBN: 978-1-60781-331-6. Schurmans, U., D. L. Collins, A. Razdan, A. W. Simon, M. Marzke, P. H. McCartney, D. Van Alfen, G. Jones, M. Zhu, D. Liu, M. Bae, J. Rowe and G. Farin. 2002. Advances in geometric modeling and feature extraction on pots, rocks and bones for representation and query via the internet. Pp. 191-202 In: Burenhult, G. and J. Arvidsson eds., Archaeological Informatics: Pushing the Envelope. Archaeopress. Oxford. Simon, A. W. 2014. Competition and conflict: A reassessment of the role of warfare among Salado platform mound communities. Presentation at the 79th Meeting of the Society for American Archaeology, April 25, 2014, Austin, Texas. Simon, A. W. 2013. Managing archaeological information: The Central Arizona Project legacy and current efforts. Presentation at the 2013 Arizona Historic Preservation Conference, June 13, 2013, Mesa, Arizona. Simon, A. W. 2012. Archaeological discoveries on the ASU campus: History, heritage, and diverse communities. Presentation at the Symposium on the Persistence of Place: An Exploration of ASU History, Archtecture & Cultural Heritage, Arizona Centennial Conference, April 20, 2012, Phoenix, Arizona. Simon, A. W. 2012. Progress report on the ASU Chavez Pass Repatriation Project. Presentation at the USDA Forest Service Coconino National Forest NAGPRA Repatriation Project, National NAGPRA Review Committee Meeting, May 8-10, 2012, Santa Fe, New Mexico. Simon, A. W., S. Swanson, C. Ryan and K. Schollmeyer. 2005. Report of inventory and analyses for perishables, ceramics, lithics, groundstone, faunal and historic collections from the Tonto National Monument: 2005 Miscellaneous sample collections, 2004 preservation and maintenance of the Upper Cliff Dwelling (UCD). Archaeological Research Institute, School of Human Evolution and Social Change, Arizona State University, Tempe, AZ. Report on file with National Park Service and Western Archaeological Conservation Center, Tucson, AZ.